Information speed and data accuracy is extremely important in nowadays supply chain. If data transfer starts to linger, products cannot move further on that supply chain. On the other hand, if products are transferred without their concurrent data we will have error, imprecision. This means additional cost, which could have been avoided. data entry. 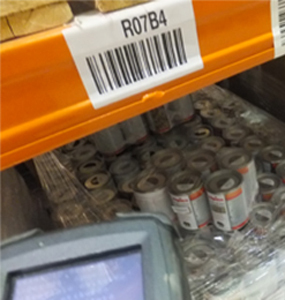 Warehousing operations like receiving or picking, are still often done by using paper documents – warehouse staff manually enters real product quantities or even product names. After that, manager enters there values to the ERP system. No one is error proof, both the warehouse staff and the manager sometimes make mistakes while entering data. product recognition. Visually similar product packaging, product names or codes can differ in only one or two symbols – it is easy to make mistakes. All of these situations are very common. But if we analyze this situation, we will always find ways to lessen the number of such errors. One of the best solutions – automated data collection. And nowadays most popular of them – barcode technology. DC-W basic configuration possibilities lets You effectively execute all of the basic warehouse operations. Flexibility of data transfer options provides a seamless integration with Your ERP system. 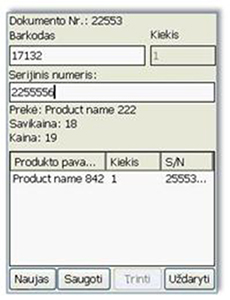 DC-W basic software is based on barcode technology and strives to take advantage of all of its benefits. This means less mistakes and faster data processing. Wireless connection or direct connection to Your personal computer can be used for data transfers.